Tesla has introduced a portable wall charger that can easily be stowed in the trunk of an electric vehicle. Charging your Tesla in remote locations is a problem that has not yet been fully solved. The Tesla 14-50 Wall Connector plugs in to a standard NEMA 14-50 outlet. That is, assuming you actually have one of those in a location convenient enough to plug in to. Most people do not have one of these plugs in their garage or on the outside of their house. Provided the correct outlet is available, it is a simple plug-and-play solution. 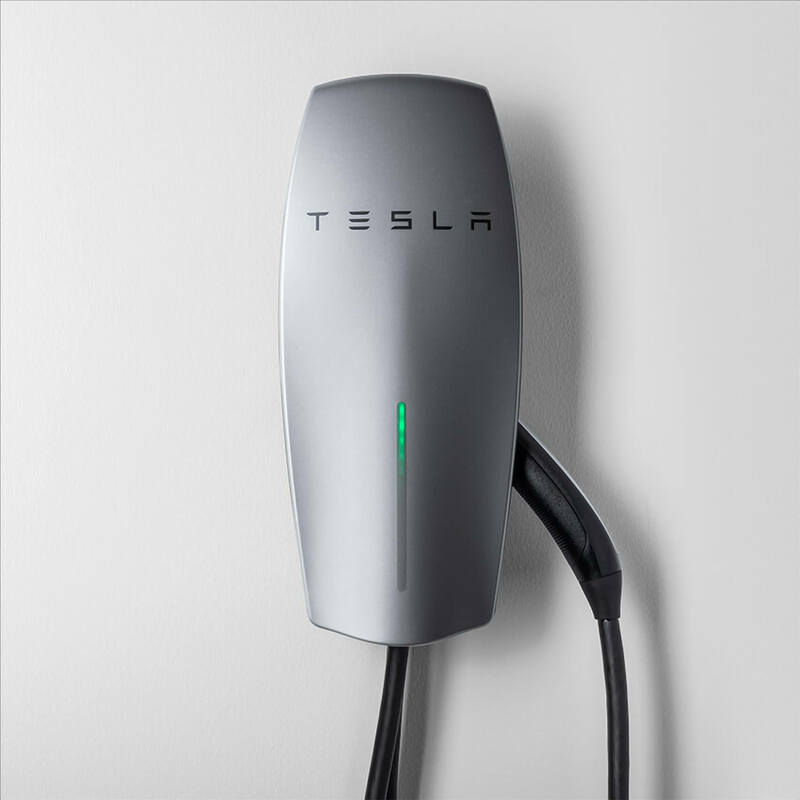 Tesla's latest charger can juice up your car 25 percent faster than its last generation mobile connector. Up to 40 amps of current can be sourced for Model S, Model X, and Model 3 Long Range vehicles, totaling 9.6kW. The Model 3 Mid Range and Standard Range trims will charge at 32 amps. 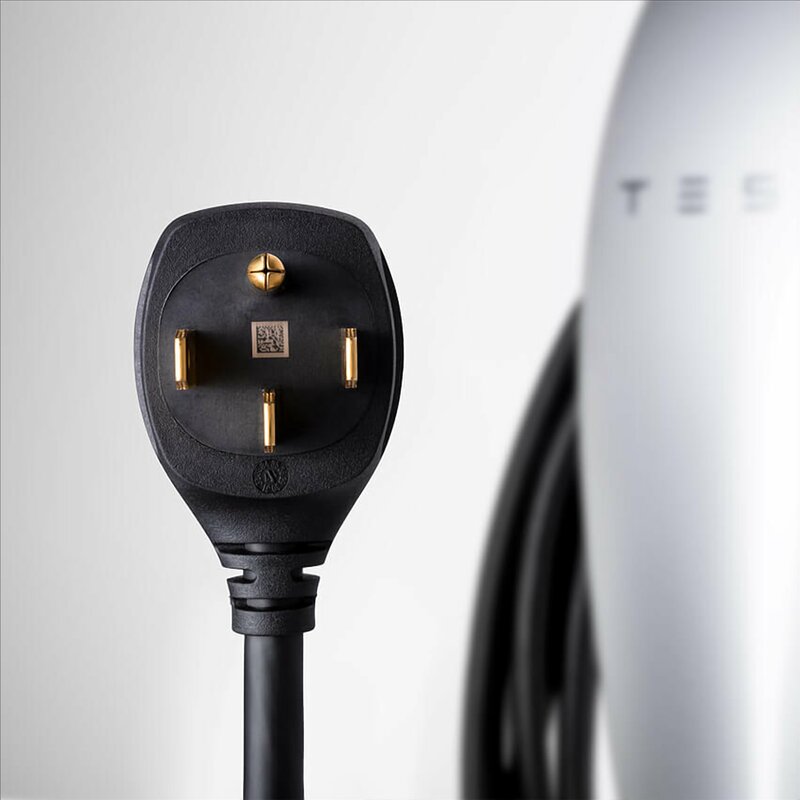 Even though this portable option is now available, Tesla is still recommending a hardwired Wall Connector that costs the same excluding installation expenses. This newer charger is portable, but does not appear to be something that will be moved around very often. It could be a great addition to take to a vacation home or other location where there is no need for a charger to be present most of the time. For only $500, having a portable charger could be appealing to some Tesla owners, especially those that have the still pricey Model S and Model X. Does it have a long enough cord to be able to use it from a 3rd or 4th floor walk up, when you're parked a half block away? (If you're lucky). You need the "Mr. Fusion" add on! | Version 3 The recommended home charging installation for Tesla vehicles is a 240 volt NEMA 14- 50 outlet. This outlet is commonly used for electric ranges and large recreational vehicles. Installed with a 50-amp circuit breaker, this outlet enables a >> recharge rate of about 25 miles per hour. << (God forbid you should have actually gone somewhere that wasn't the corner store, and need the car again quickly). Of course considering the cheapest Tesla has a range of 260 miles, that corner store would have to be at the end of the very long 130mi block that you live on. The actual recharge rate is my "concern". At "25 miles per hour", it's sort of indicative of what a delay, "topping off the tank" might create, on a long weekend trip. Batteries of all types retain less charge as they age. Batteries, (including Lithium), have lower capacities in cold weather. So, the moral of the story is, Tesla is going to quote the best possible scenario as to range, which could be unrealistic under certain situations. (Before you say anything, yes I'm well aware that ICE automotive manufacturers also use the same strategy, when estimating mileage ) However, there are a hell of a lot more gas stations in the world, than there are "Supercharger" stations. What I have discovered is that the most vocal supporters of electric vehicles, are silver spoon babies from the suburbs, with a garage and a fixed parking area(s) available. They also cherish the fantasy the the world's highway and parking infrastructures are going to be "electrified" overnight. The truth of the matter is, we can barely get the friggin' potholes fixed. So, good luck with that. My idea of compromise, (and I don't actually have to make one, since I normally don't use more than 10 gallons of gas per month), is the current crop of Hybrid vehicles going forward toward an all electric fleet, at sometime in the future. A future when a more efficient type(s) of batteries are developed, and our highways and parking situations have become electric friendly. Speaking of parking meter rate increases, they happen frequently, or the time allowed for the same amount money decreases. Would you care to guess how much metered parking rates would skyrocket, if an electric vehicle charger was legislatively added to each and every meter spot? Interesting. Given my usual Musk averse response, I did not notice that; however, given the size of the device in the photo with this article, it makes sense to me. The device does not seem large enough to dissipate the heat that would occur with a faster charging rate. Essentially, it sounds like a Tesla wall-wart as all the charge control electronics sound like they are in the cars. So, I have to ask, why not just an extension cord? Put the AC to DC converter electronics in the car and let it adapt to the input voltage and current. Because first it's 240 volts, and second the current drawn is double that of your standard 115 volt 20 amp line. In truth, I would swear that most of the circuitry has to be in the car already, since that dinky little turd would blow up in you face if it actually did have to dissipate 40 or 50 amps. Keep in mind the 14-50 outlet is standard equipment for an electric range. So, that amount of juice has to be running through it, not being dissipated by it. I think it is only, "an extension cord". But obviously I could be wrong. But then again, when has Musk or Tesla been completely honest about anything.